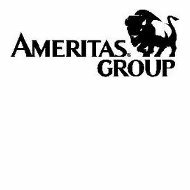 The Ameritas Health Insurance Corporation Health Insurance Company review is a review of the Ameritas Group. The Ameritas Group offers dental insurance as well as dental and vision insurance coverage. Today, the Ameritas Group has more than 4.8 million policyholders. Begin your search for the best health insurance rates in your area today. Enter your zip code in the box above to begin your search now! The Ameritas group was founded over thirty years ago and today processes more than 3.6 million claims a year. The main headquarters for the Ameritas Group is located in Lincoln, Nebraska, but each division has its own address. This department also handles new claims and pre-treatment estimates. The traditional group plan is a line of indemnity dental programs. The managed care, or PPO, plan, help the employer to save money on the dental plan by letting them custom tailor the plan to their business’s specific needs. With the dental rewards plan, the employees can increase their annual maximum, which can be used for future visits. The value source plan balances traditional dental benefits and cost controlling features. The fusion plan, also know as the ultimate choice plan, combines dental and eye care in one policy so the employee can choose where to apply the insurance benefits. The essential dental plan is a dental plan that focuses solely on the most basic dental needs. With the voluntary plan, the employee chooses to sign up for coverage and pays the majority of the insurance premium costs. A high or low insurance plan gives the employee the choice between two policies, one with a high premium and the other with a low premium. The dual option dental plan gives the employer the ability to offer their employees two separate benefit plans. The sound care plan covers hearing exams, hearing aids, and hearing aid maintenance. The Lasik advantage plan is a vision insurance policy that allows the policyholder to have laser vision correctional procedures. The focus plan comes with the VSP network, a nationwide vision care network. The vision perfect insurance plan has a schedule of benefits so the policyholder always knows what to expect from their policy. The view pointe insurance plan offers a select nationwide network and access to Eyemed vision care. With the dual or triple choice eye care plan the policyholder can choose two or three different plans to fit their needs perfectly. Use our free online tool now to find the best health insurance rates where you live. Enter your zip code now!